Although constipation is not considered as a severe condition, it still affects millions of people around the world every year. The meaning of constipation is not the same for different people. 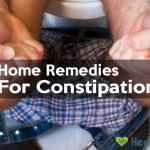 To be precise, some people tend to suffer more symptoms from constipation than others and at that time they agree that they are trapped in this ailment. In general, if you feel that you have an obstruction with some bowel movements or you haven’t emptied your bowel on every occasion, don’t wait until it gets worse. Some scientific research has shown that long-term constipation is very dangerous as it can lead to catastrophic pelvic diseases or stomach disorders if not coped with appropriately. The most basic thing to do before taking a closer look on the treatment is to explore its causes. Leading an unhealthy and improper lifestyle is the specter of this terrible condition. Whether it is unbalanced work hours, less time for rest and overconsumption of junk food, it all contributes to the harmful effect on our body. 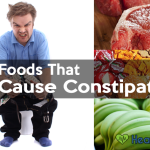 Aside from that, diets, which are not rich in fruits, vegetable or water is nothing but approximates the acquisition of constipation. 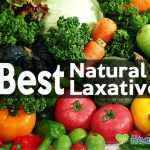 The best advice is to whip up a healthy lifestyle with the purpose of preventing constipation right at a time. Prevention is suggested with some of awesome and effective ways, especially yoga. Yoga, as almost all know, is a useful exercise to get rid of stress and maintain one’s strength. More than that, yoga poses for constipation relief are supposed to involve one’s pelvic movement and increase the flow of blood and oxygen in the system. One’s constipation troubles can be dismissed with certain yoga exercises every day. Don’t you think it’s not that simple? Follow us to the clips below to see how yoga poses should be done immediately to prevent terrible outcomes you fail to notice. Carol Ann is a very passionate and enthusiastic personal training expert who has more than 19 years of professional fitness training experience and hold a master’s degree in exercise science and health promotion. She revealed important movements that we should make to the tummy area where you may get bound up inside during a constipation. Get to know the very first pose named “Fire Breathing” in the circuit of her guideline and see absolutely you can do it at home. Dr. Melissa West answered a fan’s question about her constipation triggered by stress and other stomach-related disorders. She told that yoga is really a great way to cope with constipation and then showed her fan what she could do to help herself. Her yoga exercises are emphasized on the improvement of elimination and should be conducted in every morning after you wake up. Other yoga videos of her in the same series would be suggested. A male yoga expert introduced 7 yoga poses for constipation. They are all very simple and you definitely can do at the same time when you watch it. The trainer gave his instruction very slowly with clear explanations. Some poses may be a little bit hard and it requires more of your effort. 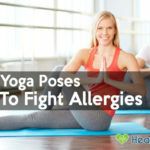 He also made it clear that although yoga is proven to be good for constipation, combine it with brilliant eating habits to bring out the best results. This video comes from Nadya Andreeva and aims to enhance your digestion, reduce bloating gas and constipation. All the exercises are very simple and don’t ask to do beyond your expectation. You just have to lie on the ground and spend about ten minutes doing her useful yoga poses. Two pillows may be necessary for some postures at the end of the series. If you are interested in all lying poses, check this out first! This is another yoga series of Nadya Andreeva and in this circuit; you are not supposed to lie throughout your time doing her yoga poses for constipation. As they were intended to keep your blood flow balanced, you need to be more active with some difficult exercises. Two pillows are still a must to accomplish all the tasks in this video. It also required your effort in proper breathing, which is effective in aiding bloating and constipation. It is admitted that these yoga poses are rather hard and require a lot of your effort. However, it will really pay off if you do it in the right way. Its purpose is to reduce bloating, gas and constipation as well. It is exactly called the exercise for your whole body and you can not only enhance your digestive system but also smooth your mind and strengthen your body. If you want a set of beneficial yoga poses, try out these ones. Joanna offered viewers ten popular poses from the extended triangle pose at the beginning to spinal twist in the end for those who have to suffer from stomach pain, heavy stomach, indigestion and constipation. It is particularly useful when you are supposed to consume heavier meals during holiday season, for example. Aside from that, stress may be reduced to a certain amount if you combine them with slow and deep breaths. This video suggested three major poses that can be applied to cure constipation. They are all very simple and can be done every day at home. You don’t have to prepare pretty much with these three straightforward exercises. The trainer used a red carpet to make sure that her body has something to support below. If you don’t have much time, this is a smart pick to make a very good start. The trainer gave to her fans a great method of yoga called threaded spinal twist. This yoga pose is likely to provide a cure to digestive problems as well. Her soft voice guides us through the journey with so much passion. Returning to its benefits, this exercise gives the abdominal organs a deep massage and relieves digestive troubles while toning the spinal nerves keeping the nervous system healthy. This video is about yoga digestion or IBS yoga, a 14-minute series shown in research studies to reduce digestive problem symptoms. It stimulated the body’s movement to help you get rid of digestive problems. It started with easy-to-do exercises and then upgraded to harder level. The trainer himself called this the therapy for modern women and men. Check it out! 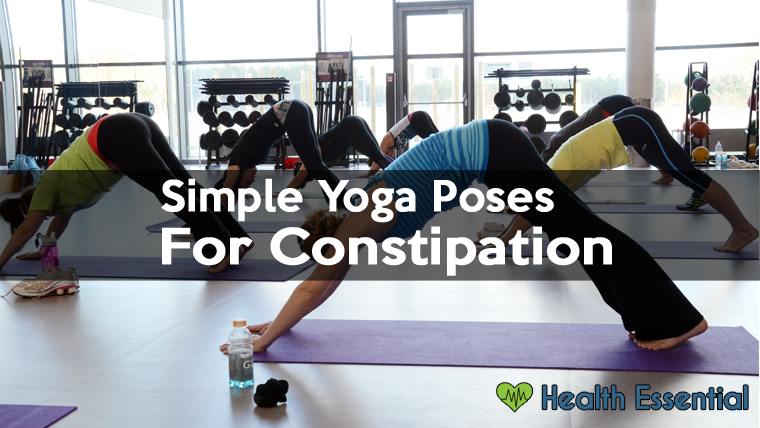 All those yoga poses for constipation are guided in those above-listed clips are very easy to complement. Your effort in doing these exercises will result in a smoothly-running and efficiently-operating digestive system. Having small workouts like this can save a great deal of your time and give a healthier lifestyle for yourself. Don’t forget to take care of your diet to ensure that you are happy without turning to your doctor.